Artists Chris Kallmyer, left, and Andy DuCett will once again create innovative installations on the grounds of the Eaux Claire Music & Arts Festival, which runs July 6-7. The graphic of the Friday/Saturday line-up may look like a redacted FBI file, but here’s a sneak peek at two of the installation artists: Andy DuCett and Chris Kallmyer, collaborating for a second year. Though the particulars are sketchy, Andy told me recently that one of their new installations brings to mind a “psychedelic grandma.” (“That’s more an inspiration than a goal,” he added cryptically.) As always, the two welcome audience participation. That’s happening around the world, given his work has been commissioned across the United States, as well as featured in publications in Berlin, London, Tokyo, and Toronto. I had to look up that last bit. “In situ” (from the Latin) means “in position” or “in its original spot.” Makes perfect sense. His work is a crossroads of space and place plus bodies, for an impromptu relationship. Recall the people you shared a couch with in the middle of Foster Farms’ woods last year? That’s what Chris (and Andy) are hoping for. “Just be a mom,” Andy told us 15 local women via email. His only other suggestion was to bring a “mom prop” – a cribbage board or laundry to fold, anything interactive. Before my two-hour shift, I happened upon Andy in the artist’s lounge – where my husband and I discovered even writers get free drinks. I’m on my second New Belgium Tartastic when I shake Andy’s hand. I tell him, “I’m going to be 1950s tipsy-in-the-afternoon-mom.” I hold up my beer-as-mom-prop. He laughs. 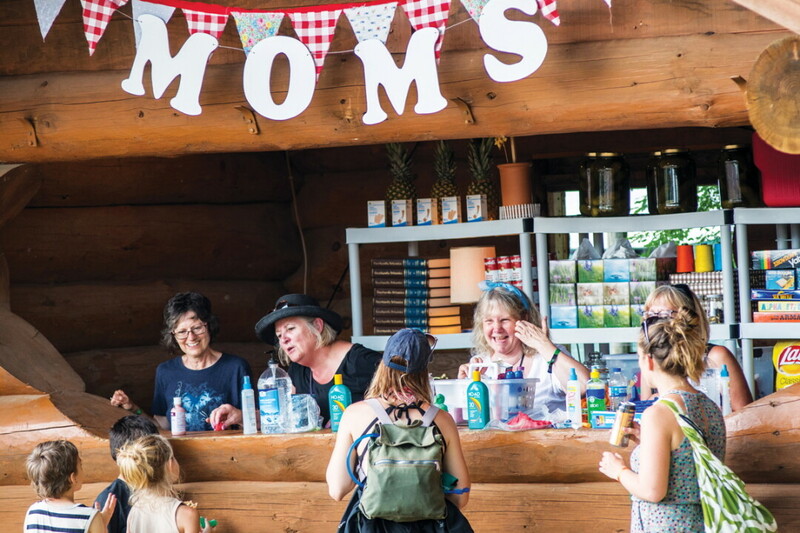 An early reviewer described “Moms Booth” as “a cross between a general store and Lucy’s psychiatry stand from the Peanuts.” In fact, Andy was inspired by fellow Minnesota artist, Charles Schulz, and his booth offering mental health advice for 5 cents. Andy’s other installation last year, the popular “Livingroom,” was co-created with Chris (who is still in my phone contacts under “Crickets,” the name of Chris’ other Troix installation, which involved the sound of 1,000 live crickets throughout the trees). Their platform in the middle of the woods featured a couch and chair, with the Packers in Super Bowl I playing on the stereo. Chris modified the recording with ambient audio tracks. Fest-goers were invited to “take a nap, watch the trees from the couch, or listen to some sounds” in Andy and Chris’s first-ever collaboration. Do we call their work “performance art”? I-could-do-that-art (which really means “I-wish-I-would-have-thought-of-that-first art”)? 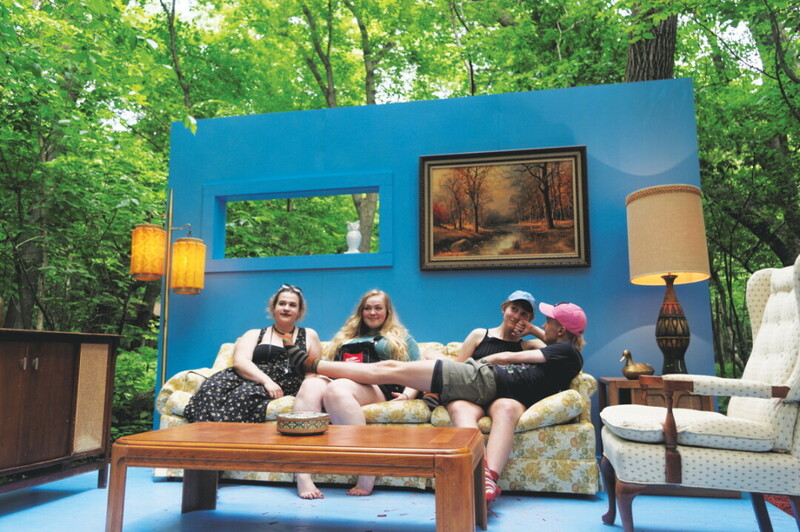 If art is a snapshot of a specific time and place, many of us lived in exactly that living room in Chippewa Falls, Ashland, Oconomowoc, or any other cheesy burg. As I offered mom-advice to millennials or removed my shoes to step into “Livingroom,” I discovered an answer. “How is it not?” These installations were part memory, part participatory theater, if the drama is our lives. Number IV promises the same. 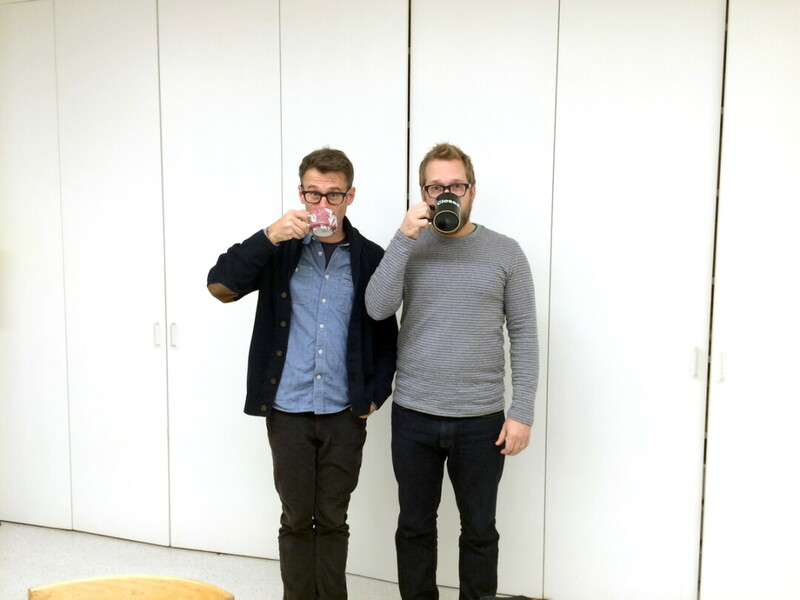 We can expect Andy and Chris to create sculptural performance spaces that provide a platform for musicians, writers, and artists to experiment with soundscapes. One of them will look like what Andy calls, “Your grandma’s parlor … but not.” That is, if your trippy grammy was into psychedelics. Chris is currently based in Los Angeles, and his installations have been commissioned around the world. One reviewer called him a “social practice artist,” in part because his work explores relationships linking environments, objects, and the people who give them meaning. A classically trained trumpeter, Chris realized as a young man that the concert hall makes him “feel distant.” As a musician and an artist, he considers the “container” in which art occurs. For instance, his Walker Art Museum sound installation was set inside an igloo. As temps hovered around 15 below zero, participants huddled together in small groups to listen while Chris served them tea. He considers any venue a “container” encompassing the poetics of place: auditorium, cathedral, and – at Eaux Claires – the woods. Collaborative art installations by Andy DuCett and Chris Kallmyer will be featured at the fourth annual Eaux Claires Music & Arts Festival at Foster Farms, just outside Eau Claire, on July 6-7. Learn more (but not much more!) at eauxclaires.com.